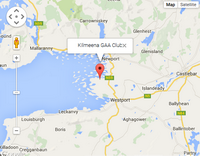 Kilmeena Bord na nÓg and Kilmeena LGFA held their Presentation evening in the Mill Times Hotel on Friday, 28th November. 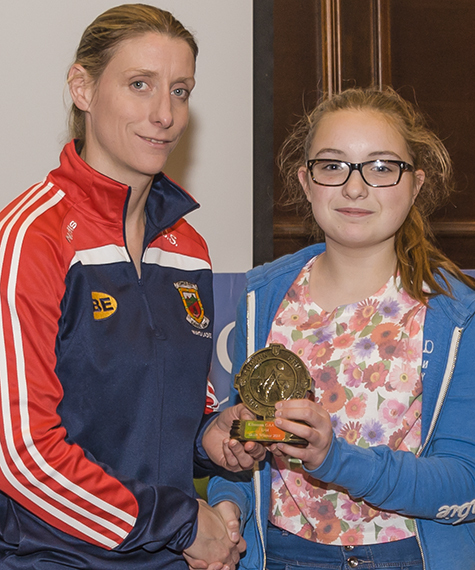 Special guests Cora Staunton, Mayo Ladies Senior Player and Connor O' Shea County Senior Footballer, presented the various awards to the boys and girls. Joey Smyth, Captain of the U16 winning team displays the U16 County League Division 4 Shield. Also included in the photo are Managers; Mickey Carney, Neil O'Donnell and Rory Nevin with County Stars, Cora Staunton and Conor O'Shea. 2014 Team Managers with Cora Staunton and Conor O'Shea. 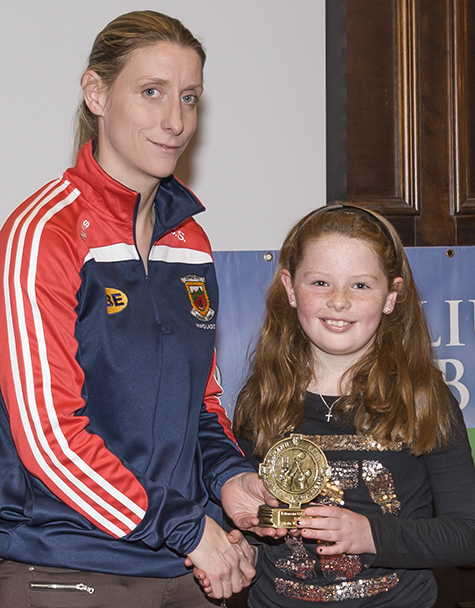 Aoife Gannon, "U10 Girls Skills Competition" winner, receives her trophy from Cora Staunton, Mayo Senior Ladies Footballer.